COMMENTS: Beautiful scent and great quality. COMMENTS: I use lavender eo in a wide variety of blends and alone. A must have oil to have on hand! COMMENTS: Great lavender eo but took some time to reabsorb in Colorado soap. COMMENTS: I'm not a lavender scent gal so was happy when I found the closest scent to real lavender. I love the real plant but it is a hard find to get that in an oil. This works for me and my customers. COMMENTS: I've ordered this twice and I'm out again already. Next time I'll be getting a larger bottle. Would like to use this in my cold process soap would be nice to know if anyone else has used it and if so how it performed. COMMENTS: The melt and pour soap and lotion that I make with this essential oil is my biggest seller year round. Easy to work with and scent true to suggested amounts to use. COMMENTS: This is the absolutely perfect lavender floral. Not too sweet, just a lovely clean floral. Perfect for my entire line. Great quality, a little goes a long way. "Lavender 30/32 EO Certified Pure"
COMMENTS: Lovely scent. Customers love this scent in my body butters and lotions. COMMENTS: I'm a lavender fanatic and smelt almost all lavender oils from most suppliers. I was dissapointed in this scent. It is not sweet but a touch medicinal and a touch herbal. Smells exactly like now foods organic lavender which is way cheaper than this. Next time I'll try the bulgarian lavender. If you are looking for a sweeter lavender or slightly floral lavender this isn't it. Go with bulgarian. COMMENTS: Good value and a nice clean scent. Work well in bath bombs and shower steamers. Will be back for more. COMMENTS: I use almost a full 4oz bottle on two batches (3lb mold) and I can barely detect lavender at all. I used the soap, and can't detect any trace of lavender left behind on my hands. I'll use 40/42 to see if there's a difference but I'm very disappointed. I also use it in my deodorant, adding it way below the flashpoint and nothing. COMMENTS: Who doesn't like lavender, one of the most requested soap scents from customers! COMMENTS: I was looking for a sweet smelling true lavender and this is it. Its not the strongest but smell nice. Will buy again. COMMENTS: I used this in CP soaps and lotions. Lovely lavender scent and held up nicely in my CP soaps. I would buy again. COMMENTS: My customers love this. We sell the CP soap and lotion as a set. "Love the smell of this essential oil!" COMMENTS: The subtle sweetness to this lavender essential oil sends me over the moon! I prefer to use in lotions as I personally do not notice a large change in the smell as I sometimes do when making soaps. Highly recommend for soaps and lotions! COMMENTS: This one is a bit more sweeter and floral smelling than the 40/42. Behaves very well in CP soap. A favorite for customers in both bath bombs and soaps. Can't wait to try it in lotions and other products. COMMENTS: This is the best lavender smell I have ever found I love it so much. It smells just like the fresh lavender I pick from my garden. I use it for everything! "Finally a Lavender EO I can love!" COMMENTS: Soo loved how this behaved in my CP lavender baby soap. This one a lot more floral than the 40/42 love that! Price was a bit hefty but I plan to get a larger bottle to make baby lotion and baby oils to go with. COMMENTS: I'm not really a fan of Lavender Essential Oil... so I have to trust my customers for their comments - likes & dislikes. This Lavender 30/32 EO has proven to be a winner, so I will look no further. I sell out of this fragrance in both my soaps and lotions every week at the market. I have repeat customers returning to purchase more for themselves and for gifts. COMMENTS: I love this smell. Use only 1% in recepies it is very strong. COMMENTS: As many have noted, this blend is lighter and less medicinal than some Lav EOs but still not a sweet floral. My customers love it. COMMENTS: Lavender is one of my two favorites.I use it a lot and this oil is wonderful and it smells just like the fresh lavender I Grow. COMMENTS: I love the sweet scent of this EO, and my customers too. I will buy this again for sure. COMMENTS: versatile and relaxing. Great in soaps, scrubs, butters and salts. COMMENTS: I have tried several lavender essential oils this is by far the absolute best! COMMENTS: This is my favorite Lavender EO. It's more floral than the other lavenders & it's much less medicinal & herbaceous. It works really well in CP. It's much, much more expensive than using an FO, but I haven't found an FO that can compare with the real thing. COMMENTS: This is my favorite scent and I would not settle for anything less than true Lavender oil. A little goes a long way and I also use a drop of the lavender oil in a diffuser in my bedroom. COMMENTS: The scent of this essential oil is so light and sweet, I wish I'd tried it before. It smells so much like lavender that the first time I used it, my husband came into the kitchen and looked around for a bouquet!! COMMENTS: So worth it. Husband loves it in shave soap. COMMENTS: Gotta have lavender! And this lavender is great... a little goes a long way! Very happy with this one! COMMENTS: Nice fresh lavender flavor. Very popular in my soaps. COMMENTS: This is hands down my favorite lavender EO I have found to date. I used to order this one all the time but the price jumped significantly so now I wait for sales. I am sure that WSP price went up so that is why they have raised it. COMMENTS: The best lavender essential oil by far. I love WSP! COMMENTS: I love this oil. COMMENTS: This is the best smelling lavender eo I've tried so far. A little goes a long way too. 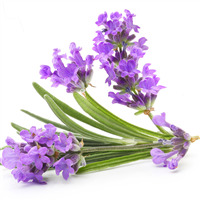 "Love Lavender Smell, Relaxing and sweet"
COMMENTS: This is a great essential oil. You can literally use it for so many different things. It has great properties and smells nice and sweet. Not to floral. I do usually prefer lavendin but this is really nice too if your looking for something that isn't to strong. COMMENTS: I use this for everything, soap, bath bombs, sachets, and lotion. 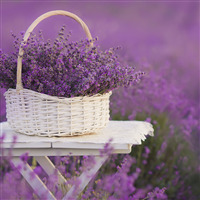 Lavender is a favorite of the majority of people. I have venders coming over to my table from down the way telling me how good my products smell. COMMENTS: This Crafter's Lavender essential oil is a great product. Smells like Lavender. Customers love it. • Smaller opening diameter on bottle. COMMENTS: Great lavender scent without smelling too "medicinal"
COMMENTS: Used this lavender in bath bombs, you don't need a lot, this is strong lavender and it's requested all the time among my customers. Great oil. COMMENTS: I would Change nothing about this lavender. I blend it with grapefruit 50/50. It's my top selling of all my scents. Beard oil, beard balms, pomades. COMMENTS: I love this lavender blend! Not a strong camphor smell with this one so it's nice and smooth. Perfect for blending with other EO without overpowering them. COMMENTS: A true lavender essential oil, although not quite as strong as others I have used. COMMENTS: This is a wonderful smelling oil that has many uses. COMMENTS: I used in CP soap. The scent is wonderfull and really lasted. COMMENTS: This is a very nice fragrance, too strong or overpowering. Worked nicely in my M&P project. COMMENTS: The perfect scent of Lavender. Multiple uses. Will most definately purchase again. COMMENTS: Love this lavender scent for my CP soaps. Have not ventured further yet, but will. My soaps turned out fantastic! COMMENTS: Worked well in CP soap. COMMENTS: What don't you use lavender EO for? Excellent for crafting and works well when added to dryer balls to give a clean mild scent to laundry in the dryer. Add a few drops to pillows at night to help the kids get to sleep quickly. "Best one I've use till now "
COMMENTS: This lavender smells amazing. I love it. COMMENTS: This particular essential oil smelled really nice, and truly smelled like lavender. I liked that the scent wasn't too powerful after the soap was made (we use goat milk to make our soap, so it may make a difference in others?). We got the lavender essential oil because a few of our customers requested it, but I'll probably make lavender soap, with this essential oil, from now on. COMMENTS: I love this EO. It has a wonderful lavender aroma that lasts. COMMENTS: I love everything lavender. Very popular with my customers also. One of my most requested customer fragrance. COMMENTS: A soft and sweet lavender that isn't quite as sharp and camphor-ous as 40/42. My customers seem to like it better. COMMENTS: Smells really good. I was surprised at the strength of this oil. Took a little while to trace and did not discolor. "Gorgeous, favorite lavender EO and FO"
COMMENTS: I used this in a batch of my facial butter/cream with the lemon EO and it came out perfect! It's so uplifting together and perfect for face cream! Bought a small bottle to try since it is a little expensive but definitely worth the price! COMMENTS: I'm not a huge fan of lavender, and haven't used it much since I started making soaps. Hubby got a little sick of the smell. ;o) But I had a request before Christmas for some lotion made with lavender, so I decided to try the 30/32. What a lovely surprise! It doesn't assault the nose like the 40/42, or even the Barreme, and when blended with Vanilla, it is a lovely, smooth scent. My friend LOVED it, and I'll definitely make more lotions and soaps with it for the Spring! COMMENTS: About a year ago I thought I would try this blend as it is said to be more floral. It is more floral. I use is in all of my lavender products and my customers just love it. COMMENTS: I am not a huge fan of lavender, but who actually owns a soap company and doesn't use lavender? As far as lavenders go this is a nice one. I can tell it is strong, a little will go a long way. COMMENTS: This essential oil has a pleasant smell. It smells pure and smells great in soap. Will order again. COMMENTS: I love this lavender EO. I use it in my soy tarts. And it smells amazing. Love the sweet smell of this lavender. COMMENTS: This is the best Lavender EO I've found. Definitely worth the money. COMMENTS: This 30/32 lavender is by far the most floraly fragrant I have used, and I have tried many different distributors. My customers have noticed the difference as well, and love it. This will be my lavender from now on. COMMENTS: I really like the smell of this lavender. It worked great in CP soap and lotion, and I will be using it in other products in the future. Would definitely purchase again! "Love it, real staying power"
COMMENTS: This is a nice, all purpose lavender with a scent that has staying power in every product I have used it in. 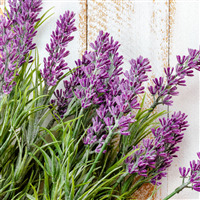 It seems to be the most widely popular lavender among my customers and thus is the one I have chosen to stick with. I appreciate the fair price for a consistent product whose quality I trust. "I used this for perfume"
COMMENTS: I love lavender and used this in my own combination of almond oil and lavender. Very nice and soothing. COMMENTS: This product has an incredible sweet floral lavender smell at an affordable price! Holds well in CP soap and is more of a floral scent in lotions than lavender 40/42, will definately buy again. COMMENTS: This is one of the sweetest-smelling lavenders I've found. Perfect for scent blends when I want the sweeter, less herbaceous lavender. Great quality. COMMENTS: This was my first experience using essential oil instead of fragrance oil, so I used less than usual, thinking the scent would be stronger. It may be entirely my fault that the oil did not live up to my expectations, but I could barely detect the lavender scent over the slight odor of buttermilk (my preferred M&P soap base because it does not seem to sweat in the humidity as other bases do here). I will try it again in a different base, using a little more oil, and hope to get better results. COMMENTS: This is a wonderful essential oil! It's great alone, or in combination with other scents. It us a favorite in my shampoo bars. It works very well and the scent holds well in cold process soaps. COMMENTS: Just lovely soft lavender. COMMENTS: I love how this lavender eo is so very versatile and smells amazing. It is so strong I only have to use it at 2% to reach a strong and lasting fragrance in my Cpop soap. I also works well in my baby wipes solution, massage oil, room spray and works great in my insect repellent for my Dogs definitely worth it. I would recommend this product and will purchase again and again. COMMENTS: I like this lavender for use in our body butter. We combine oils for custom scents which makes our Lavender Flower scent. COMMENTS: I love this EO and so do my customers. I was looking for something that is truly lavender and this is it. I order Vanilla Lavender FO and didn't get the smell I was looking for so I went to the EO and my bath oils are a great seller. I use .05ml (plastic dropper from WSP) per 8oz bottle you only need a very little for a great powerful but not overwhelming smell. I tried using 1% or 2.5ml and it was too much my skin was itching. I adjusted the ml and this is a great buy. I used a mix carrier oil that include jojoba, sunflower, apricot kernel, and grape seed oil. COMMENTS: This is one of my go to products. Works well in CP soap, bath bomb, and aroma therapy. Fragrance lasts. COMMENTS: What other word is there for this EO other than LOVELY!!! This is a fantastic Lavender EO - works great in CP soap, customers love it! COMMENTS: This Lavender is more floral than the 40/42. It is a wonderful lavender oil that I use in nearly all of my products. My customers really enjoy the pillow spray that I make with this Lavender oil. The only thing that it doesn't seem to last long enough in is my hot process soap. The lavender smell holds great for a couple of months and then it fades really fast. This smells great in lotions, bath fizzies, and sugar scrubs. You can use it alone or mix it with another essential oil to add even more interest. 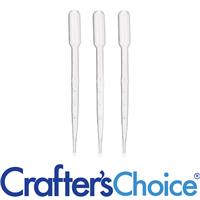 • Offer Larger Quantities over 1lb. COMMENTS: I love lavender, and this one is clean and fresh, and not overwhelmingly floral. COMMENTS: Perfect and so real! I hate the FO version. I almost didnt try this because the other was so off! So glad I tried this!!!!!!!!!!!!!!!!!! COMMENTS: This essential oil smells just like the flowers in my yard! Wonderful scent. Behaves very well in cold process soap. • Smells like the actual lavender plant. COMMENTS: Buying again. My customers love this lavender scent. COMMENTS: I have only purchased a couple essential oils from WSP but I am very impressed so far. This is one of them and it is beautiful. It has a nice strong floral lavender scent without the medicinal part. I have paid twice as much at other vendors for lesser quality oil. Thanks WSP and believe me, I will be trying more of your oils in the future. COMMENTS: Wonderful lavender scent to blend with other oils or use alone! COMMENTS: I'm not a fan of Lavender, but I can't keep this in stock. People just love Lavender! COMMENTS: Love love love this lavender. My soap partner and I bought several different lavender scents and oils to see what we liked best. This one wins hands down. Not too medicinal, not powdery, just perfect. We even tried the lavendin EO to see how it compared. It's great but not as nice as this one. Our lavender products are the first to sell, and this EO does not cause any issues in our CP soaps. Will reorder the bigger size. COMMENTS: Really like this scent. Works well alone or blended with other scents. Is a favorite of many. One customer says Lavender makes her happy! and that makes me happy! COMMENTS: I really like this lavender. Very pretty & very strong. A little goes a long way. "So Happy with my EOs!!!" "I can't keep Lavender Soap on the shelf!" COMMENTS: When I switched from a lavender FO to this EO in my Lavender Goat's Milk soap my customers loved it so much that the soap is always sold out before it is cured and wrapped! • The Fragrance is fantastic! COMMENTS: A great classic scent. Next time I will purchase a larger bottle since I seem to be using it in a lot of items! COMMENTS: This is a nice sweet lavender. I like to use it in my baby and pet bases. Great smell! COMMENTS: This is the Lavender essential oil I was looking for long time! "Favorite of all the Lavenders EO's"
COMMENTS: We did our own testing of this type of EO. We purchased all the lavender EO's available and this one is favored by our customers. COMMENTS: I've always used Lavender 40/42 and had to tone it down by adding Lavendin EO. With this Lavender 30/32, I don't need to do that. I like it much better because it is sweeter and more floral. I don't think I will be buying the 40/42 any more. COMMENTS: Lavender seems to be able to go in everything! Works well in CP standard & goat's milk soaps, small batches of fizzies that will be used quickly, A little goes a long way. I am pleased with the pricing from WSP, and love the quality. COMMENTS: Love this lavender. I mix it with patchouli and it is awesome. COMMENTS: This EO will be the first in my new Spa Collection! We've got a winner!!! COMMENTS: Love how this smells- clean and fresh and worth the money I spend on it. Next time will order larger bottle. Very calming scent. COMMENTS: This smells like the lavender section of our farm. COMMENTS: This is my absolute favorite EO! Can't make body products without it!! COMMENTS: I absolutely love the scent of this Lavender Essential Oil. Would highly recommend. COMMENTS: I had only bought this because I had requests for it from customers. It turns out I love just as much as they do. I blend great with other EO. I love it in my bath bombs. COMMENTS: I usually use the 40/42 blend, but was pleasantly surprised when I used this. I'm really enjoying it, sweet, herbaceous smell. COMMENTS: I'm still trying to decide which lavender essence I prefer over all, but this one is what I'm using for all general lavender purposes at this time and I really like it. This review might require an amendment once I can afford to try a couple of the other ones, but I think this one will always be in stock at my house. The price is right and the essence is really nice and works very well with my melt and pour soaps. I have yet to hear a complaint and I've sold a lot of it. COMMENTS: This lavender oil smells so good. It's a nice and sweet scent and doesn't have a medicine smell like some other lavender oils might. I have a lot of return customers for this scent alone. COMMENTS: Great essential oil and a fine value! The only thing I wish was that the bottle had a dropper top. That would make life a lot easier when measuring out oils for products. COMMENTS: I love the smell of this lavender essential oil so I suspect it is made mostly of blossoms. It held up well in cold process soap and it is an excellent addition to the evening primrose lotion base and bath spray. I and a niece use this on our rosacea and it seems to help reduce the redness, itching and breakouts associated with rosacea. Lavender is a good antifungal and as such it seems to work with some of the underlying causes of several skin problems. It worked very well in the cold process soap batch I made, and I was able to drop in two colors for a beautiful pattern with no problems of seizing. COMMENTS: This eo is so nice! 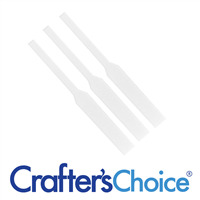 I've used this product in many receipes and it always turns out wonderful. I'm not familiar with eo strengths and purity issues, so can't comment on that, but this product is lovely and a great price. COMMENTS: I love lavender. It smells so soft and has such a nice calming effect. Works great in CP soaps and an obvious winner. "Winning me over to the lavender side"
COMMENTS: I am not a lavender fan. At all. Really. My family & clients love the stuff so I'm stuck working with it... I've used the 40/42 in the past and tried this one the last time instead. Wow! It's quite lovely. I never seem to spill my EO's except for the darn lav but I really enjoyed this scent & blended it into several of my products into some new combinations. No more medicinal lavender for me, I'm sticking with this. COMMENTS: Best price for lavender essential oil I have found, and the scent is great. My lavender products are always best-sellers. This works great in CP soap. Fragrance sticks. • pouring from bottle is messy. "Stays in cp soap, but not body butter?" COMMENTS: Smells like true lavender. At .7oz ppo, seemed to work well in my CP soap and still smells good a few weeks after cure. However, it's not working great in my body butter so far. I added it at 2% and though it smells strong when you open the jar of body butter, once I apply it to the skin the scent is gone in 15 minutes. Maybe I'll try using more, but I've used lavender eo in the past from other sellers and usually it sticks on the body for a couple hours at least. COMMENTS: Smells incredible, clean + delicious in melt + pour soaps, soy candles + bath salts + bubble bath! COMMENTS: I really liked this scent and it came through well in my CP soap. I used with a little mint and it was great together. COMMENTS: I've tried different types of lavender and this one smells natural, It's so relaxing. The odor stays in the product a long time. I love it. • I feel in lavender fields. "Lovely, Exactly what I hoped for." COMMENTS: I was unsure about purchasing lavender oil online because I wouldn't have a chance to smell it first. This lavender oil is exactly what I was hoping it would be and it extremely convenient that I can order it and know exactly what I am getting. It is perfect. I get lavender oil *all* the time from many brands. This one is just like the brand I usually get. I will be making the switch to This oil. If you are looking for lavender oil and are unsure, get this one. You will be completely satisfied! "True lavender. Lasts in CP soap"
COMMENTS: This is a true lavender. Not bitter, not too sweet. Holds up well in CP soap. COMMENTS: This EO is very soothing. It smells like a spa and is incredibly relaxing. I can't wait to use this again! COMMENTS: This is a very soothing fragrance!!! I've mixed it with Eucalyptus, Vanilla, Peppermint, or plain...and they all smell fabulous! COMMENTS: Lavender is tricky. People have very strong feelings about its smell. We use this Lavender EO for our facial soaps and it is one of our best sellers. We can never seem to keep it in stock. It's not too strong. COMMENTS: I am not a huge fan of lavender myself but this one is not as strong as others and the smell is so much better. Held scent well in CP soap. I will order again! COMMENTS: So far in soapmaking, I have only used EOs as opposed to any lab-created fragrances. Lavender is a must have for many different applications. Do your research to know how to use EOs (Essential Oils). COMMENTS: This lavender is just the ticket. Not too strong and doesn't have the medicinal smell others do. The scent holds well in HP soap and bath salts. I will buy this one again and in the bigger bottle! COMMENTS: This is by far the best smelling lavender essential oil around! I love it and use it for everything! "LOVE Ths LAVENDER Essential Oil !!!!!" COMMENTS: Beautiful lavender aroma. A keeper in the line for every product line. Thanks WSP! COMMENTS: I never have been one to like Lavender, but this one seems to be a keeper for me. I love the way it smells and lingers on my skin for a while. It's a beautiful scent. I will purchase again. COMMENTS: Absolutely love this lavender. I have the 40/42 which I am not crazy about. This has a lighter scent and smells more like lavender. I will definitely buy a bigger bottle. "No medical smell to it"
COMMENTS: I needed a safe essential oil for my baby products and I'm not a big lavender fan but this one was doable because it didn't have a medical bite to it. Very strong scent so I used less than I normally would. COMMENTS: I use this alone in my CP soap. It smells like lavender. I blend it with grapefruit and lemon but I think because of the high % of grapefruit in the blended oil, the lavender seems to be covered a lot. I will try with lavender 40/42 next time when blending oil. COMMENTS: I like lavender but it is just not my scent so I let my best friend try some products with this. She is the lavender diva. She loved this EO and it definitely passed for her. Other customers have validated this also so its a keeper. They say it is a true lavender scent and love it. So far, it has worked well in my products. COMMENTS: I absolutely love this lavender! What more can I say? I use lavender quite frequently in my soaps and only recently tried it in a lotion bar. It smells wonderful! COMMENTS: These are more of a dull color, but the scent is fantastic! Have used these in bath salts and teas, and will be using them in cp soaps. COMMENTS: This was a TRUE Lavender scent. I LOVE it. It was a good price as well, essential oils are always expensive but WSP makes the within reach and makes sure they are buying from solid source. As a retailer who buys from WSP to stock my shop, I depend on them for their research into the quality of the products. They definitely take that seriously ands it's why I trust them. COMMENTS: This is one of the most popular soaps I made, friends just love it!! COMMENTS: I love this lavender. I like it better than Lavender 40/42. You don't need very much a little goes a long way. It smells like a lavender field of flowers. It doesn't have that sharp medicinal smell that so many other lavender essential oils have. I simply love it! COMMENTS: When not using Bulgarian Lavender or Angustifolia, I enjoy this one especially to make room sprays. It is nice and sweet, with no medicinal smell. COMMENTS: Prefer this lavender over the 40/42, it's worth the price difference. A little more floral and less herbal, but still very natural. Works wonderfully in anything I've tried it in. Highly recommend. COMMENTS: I hadn't found a lavender that I liked, but after reading reviews on this one I decided to give it a try. I needed to do 200 lavender cupcake soaps for a wedding. They turned out great! I've never been a fan of lavender but now I don't feel like my soap line is complete without it. Now I can make it and I even like the smell. Thanks! COMMENTS: I love this fragrance! It blended well with my CP soap and didn't accelerate the trace too much either. Definitely worth purchasing again.